With the well-deserved tagline of The Number One for Flying Fun, Flying Toys is a UK-based company that sells a superb range of radio-controlled planes and helicopters that have been sourced from leading manufacturers across the globe. Flying Toys stocks a particularly impressive range of Silverlit helicopters, starting with basic models for younger children and high-tech models features electronic gyro systems and highly-detailed livery for older RC fans. Many of the company's products have caught the attention of the media, with Channel Five's The Gadget Show proving to be particularly die hard fans! 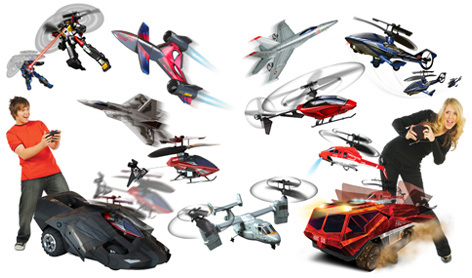 In addition to one of the best ranges of flying RC toys you will find anywhere, Flying Toys also has some outdoor and pocket money toys within its ranges. Gliders, kites and rockets from Quercetti sit perfectly beside Tim Birds from De Ruymbeke and balsa wood planes from WhiteWings.